In my previous post I argued that a scientifically oriented Pragmatic Party might make a nice replacement for a lobotomized and morally bankrupt Republican Party. I also mentioned that only a broken electoral system could let someone like Donald Trump get this close to the presidency, that we need to fix this defect, and that ranked-choice voting is an alternative worth trying. I received an intriguing reply by email. 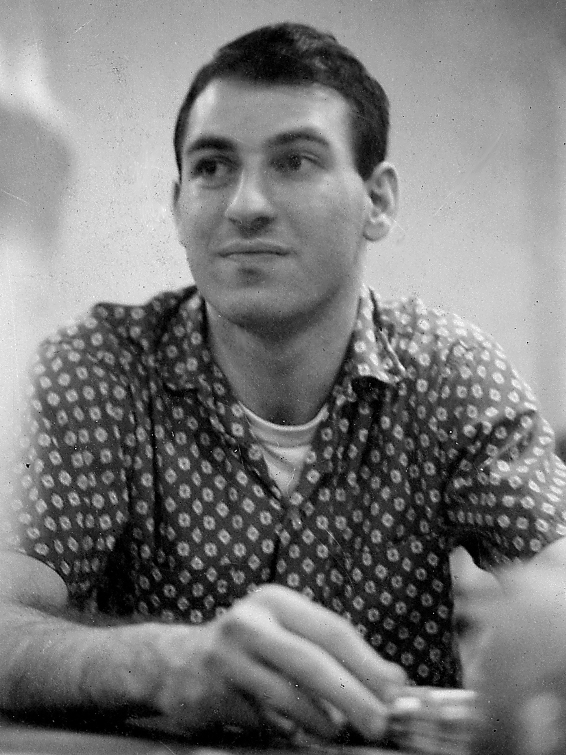 It was an essay on voting systems by computer programmer, amateur mathematician, musician, and professional bridge player Danny Kleinman. Kleinman first explored the mathematics of voting systems as a student and eventually came up with a robust improvement on ranked-choice voting. The essay he sent was written mainly for his fellow bridge players and made heavy use of bridge terminology. I don't play bridge. I'm not a political scientist or an expert on voting systems. I am, however, a computational scientist, and I know a good algorithm when I see one. My goal in this post is to summarize for a wider audience the essence of Kleinman's elegant idea. But first we need to tackle a fundamental question. What Do We Want From a Voting System? Maximal Choice: A common complaint this election season is "I don't like either candidate!" The high negative ratings of both major-party candidates bear that out. And why has the choice effectively boiled down to only two candidates? A good voting system should favor many options. Majority Rule: The outcome should reflect the will of the majority. That's easy if there are only two candidates: the one with the most votes wins. But if we also want maximal choice, then there will be more than two serious contenders, and the problem becomes more complex. Our current way of winnowing contenders through multiple primary elections is one of the worst possible because it thwarts majority rule. Turnout is low in primaries and skewed toward political extremes, and in most states voting is limited by party membership. Early primaries have disproportional influence because they give momentum to the winner, biasing the outcomes of later primaries. Candidates with broad national appeal drop out because of early losses and limited funds. Our two current major-party candidates were really chosen by only a tiny and unrepresentative fraction of voters. In 1785 a French mathematician, the Marquis de Condorcet, suggested a far better way: let voters choose among all contenders in a single election. The winner should be the candidate who defeats all others in all possible one-on-one contests. This is now known as the Condorcet criterion, and the candidate who meets it is called the Condorcet candidate. Running all those pairwise elections may seem a logistical nightmare, but in fact there's a simple way to do it in a single election (soon to be explained). The real problem with the Condorcet criterion is that there may not be a candidate who meets it. Think of the game rock-paper-scissors. Candidate Rock beats candidate Scissors; candidate Scissors beats candidate Paper; and candidate Paper beats candidate Rock. No one beats the other two. In real elections -- where most candidates and voters identify with a specific place on a political spectrum -- such a failure of the Condorcet criterion will be rare, but a good voting system should cope with those failures by choosing the candidate who comes closest to meeting the criterion. Fairness: One person, one vote; every voter should have a say in the outcome. I just explained how our primary system violates this principle. So does our anachronistic electoral college. But there is also a subtler kind of unfairness in our current system. A person who votes for a third-party candidate has no say in the final outcome if that candidate has little support, because in that case the real contest is between the two major-party nominees. A good voting system should not only let this person vote her conscience, but also give her a say in the final outcome. Robustness: A good voting system should facilitate straightforward ballot designs with instructions that can be easily followed. It should be difficult to mark a ballot in a way that unintentionally invalidates it. It should be hard to manipulate the outcome in a nefarious way by insincere or strategic voting. Voters should not be forced to guess whether a vote for a third-party candidate would be wasted or would inadvertently contribute to the election of an abhorrent candidate by splitting the opposition vote. Similarly, each political party should have incentives to offer multiple qualified candidates, without fear that doing so would split the vote and cost them the election. No Tie-In Sales: Vice presidents should be separately chosen by the voters from the pool of presidential contenders, rather than selected by each presidential candidate and voted in as part of a package deal. Dignity: Being a candidate should not be so expensive, degrading, exhausting, insulting, or otherwise onerous that it deters all but the richest, best connected, and most power-hungry of people from running for office. The voting system should favor civility, intelligent discourse, and respect for the dignity of the office among all contenders. Although no voting system is perfect, we can and should try to find one that is as good as we can make it at delivering on the above list. We can start by having each voter rank the candidates by personal preference. Many problems with our current system go away if we eliminate primaries and elect a president from a large pool of contenders via ranked-choice voting. In this system, also known as instant run-off, a voter assigns each candidate a number indicating the voter's order of preference: 1st place, 2nd place, 3rd place, and so on. If any candidate is the first-place choice of a majority of voters, he or she wins. If not, the candidate with the least number of first-place votes is rejected and replaced on each ballot by the one ranked just below him. This process is repeated as necessary until one of the remaining candidates gets a majority of votes. This is the standard way of doing ranked-choice voting where it has so far been tried. It is used in some national elections in Australia and Ireland and in local elections in eleven American cities. Maine will soon hold a referendum on its use in gubernatorial elections, following years of dissatisfaction with governors who received less than a majority of votes. Ranked-choice voting encourages greater choice, allows voting your conscience for third-party candidates without risk of wasting your vote, and fosters greater civility in campaigns. By eliminating presidential primaries it could shorten campaigns and reduce costs, both for taxpayers and candidates. Yet for all these advantages, plain vanilla ranked-choice voting has a serious flaw: it can easily fail to select the Condorcet candidate. Think of a centrist candidate with deep support among voters as a second or third choice, but with little support as first choice. Such a candidate might win every one-on-one contest with all other contenders, yet still be rejected in the early rounds of conventional ranked-choice voting. This failure to follow majority rule is a fatal flaw, but don't despair: Kleinman's algorithm fixes it in an elegant way. 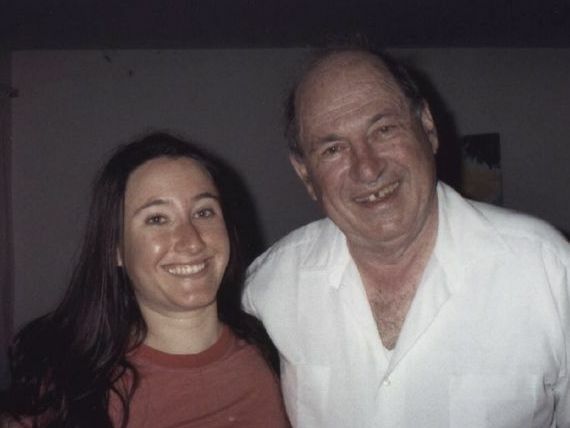 Recent photo of Danny Kleinman with daughter Joy Winkle. In the voting booth, Kleinman's method looks the same as conventional ranked-choice voting. Its novelty lies in the way it picks a winner. Rather than reject the candidate with the fewest first-place votes, it rejects the one who is, on average, ranked lowest by all voters relative to the other contenders. The candidate thus rejected is the least relevant because, on average, the voters prefer other contenders; he would lose many one-on-one contests. Another essential point is that this rejection step is repeated until all candidates but one have been rejected. The sole surviving candidate is mathematically guaranteed to be the Condorcet candidate if there is one, and, if there isn't, the survivor is arguably the one who comes closest to meeting that criterion. Note that the tied candidates, Sanders and Clinton, split the third-place Borda count equally. For each candidate, the Borda counts from all ballots are then added, and the candidate with the lowest total Borda count is rejected (deleted from all ballots). The Borda counts are then completely recalculated on each ballot, added across all ballots for each candidate, and again the lowest-scoring candidate is rejected. The process is repeated until only one candidate remains. Kleinman worked this out in 1965 and called the algorithm SOME, for Single Office Majority Election. Decades later he learned that Joseph M. Baldwin, an Australian mathematician and astronomer, had published the same method in 1926. Of course there are many methods in the literature, each with strengths and weaknesses. None is perfect, but the Baldwin method (Kleinman's SOME) is especially robust at majority rule, has all the advantages of conventional ranked-choice voting, tolerates ballots with tied rankings, and is resistant to manipulation through insincere voting. Kleinman also suggests an elegant way to pick a vice president: first run SOME to choose the president, delete the winner from the ballots, and then rerun SOME to choose the vice president. This would encourage each party to offer multiple qualified contenders (the only way to win both offices), and it would be yet another incentive for civility. Would you really want to attack the candidate under whom you may be serving as vice president? To change our presidential elections in this way would require a constitutional amendment -- a big hurdle -- but we could surmount it in small steps. States and municipalities could adopt SOME for their elections, thus building popular support. Those that already use conventional ranked-choice voting tend to like it, despite its serious flaw. And before taking the plunge into a constitutional amendment, we could try dipping a toe. Congress could require that all presidential ballots include an advisory "presidential preference poll." This would be a separate item on the ballot where voters could rank a list of hypothetical presidential contenders -- maybe all candidates who qualified for a primary debate, along with those on the real presidential ballot -- as if they were doing conventional ranked-choice voting or SOME. It would have no effect on the outcome of the election, but it would show voters how much wider their list of choices could be if they were using the new system. Voters could also indicate on the ballot whether they would prefer this as the real voting system. The results of the poll would be tallied, so all could see how the change would have affected the outcome. I predict that demand for change would grow.